The third new venue in the main pool area is Guy's Burger Joint, which was developed in partnership with author and Food Network star Guy Fieri. The burgers come in a number of varieties ranging from the Plain Jane to the Pig Patty. After receiving their burgers, guests can move over to a condiments bar where they can add toppings and sauces. Nearby is the Taste Bar. 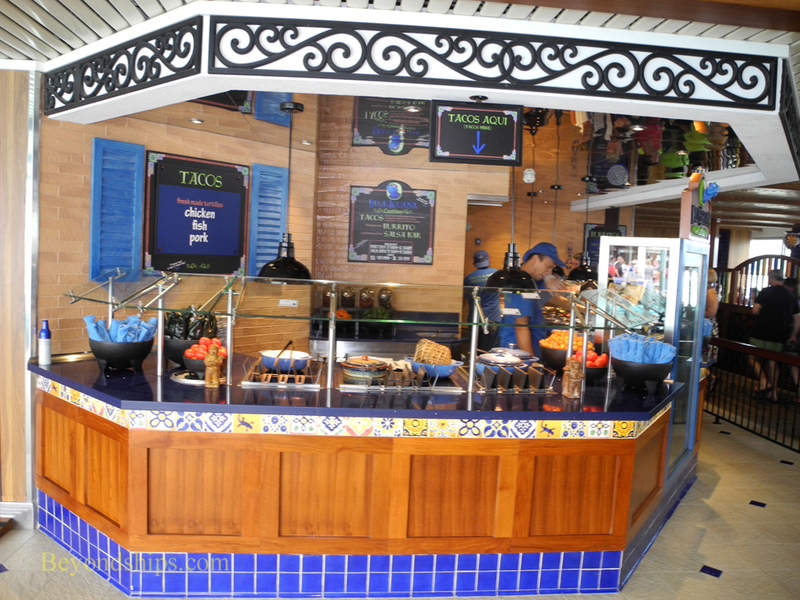 Here, guests can get samples of the various types of food served in Glory's different venues such as Mexican food from the Blue Iguana. 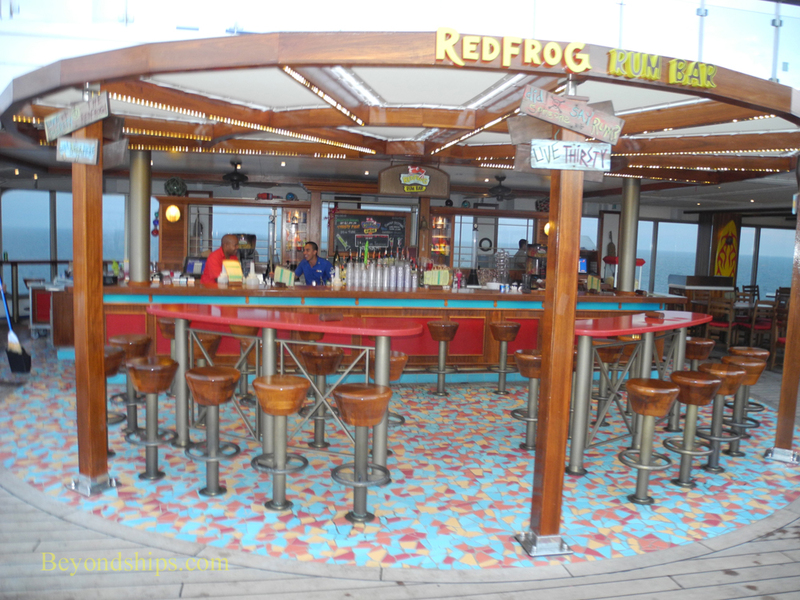 Further forward on Promenade Deck is Cherry on Top, a new candy store with various confections, apparel and novelty items. Not even the main dining rooms have been exempt from change. In the past, the Platinum Restaurant (one of the ship's two main dining rooms) was open for breakfast and lunch on sea days. Now on sea days, the Platinum has the Punchliner Comedy Brunch with the comedy club comedians giving short performances while the guests dine. “The brunch has proved to be extremely popular. We start at 8:30 in the morning and go until 1 p.m. We get up to 1,700 people attending the brunch - - at different times, of course.” Mr. Lopez said. At dinner time, the Platinum Restaurant follows the traditional cruise ship dining system with two seatings and assigned tables. The Golden Restaurant has both the traditional system and a flexible dining system called “Your Time Dining” where the guest can come anytime the restaurant is open. However, whereas Your Time Dining used to be on the mezzanine level of the Golden, it now occupies the larger lower level.